Not sure how representative this is, but among the people I knew qho began with the Little Brown Books, myself included, most of us took the incomplete/non-entry for the Witch just like many of the other little breadcrumbs and teasers scattered through everything and knocked together our own house-ruled version. That's the same way we handled Tharks, and the excised Barsoomian stuff, and some of the other bits like Robots, for example. There was something about the incompleteness of those early books that spurred a lot of creativity. It invited participation and made coming up with one's own version of things part of the game. But hey, that's my personal take on it. Yes, that sounds great! It must have been a fantastic time to play! I started a few years later (1978), when Gygax was starting on his kick of "if you want to give an extra hit die to centaurs (or whatever), that's fine, but then you just wouldn't be playing AD&D..." And I bought that whole line at the time. It was only when I went back to D&D a few years ago, that I began to appreciate the value of the early more open-ended approach. And now, of course, I'm an OD&D man. Excellent read! Everyone knows about the Dragon #114 witch, but these early ones had so much charm...pardon the pun. I only played D&D as a kid/student from 1977 until 1982, I think, so my Dragon reading stopped before #114. Then when I came back to the hobby a few years ago, I focused more on OD&D. I tend to think of the explosion of stuff in the 80's as containing much good but also much bad. You have to sort of wade through it. 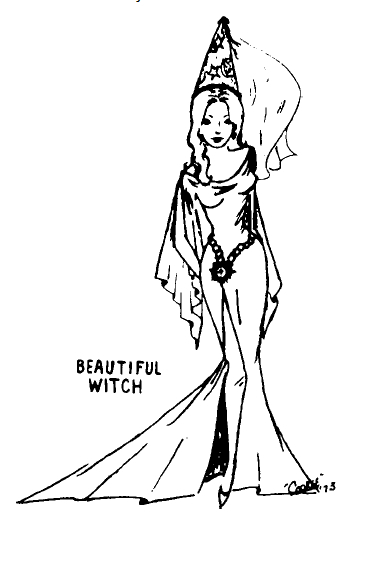 There is a pretty well-developed Witch class in the JG supplement Witch-Court Marshes. Cool. I didn't think I had that but it turns to that I did. I will look through it. I am not a huge fan of that particular version. It has some neat things about it, but there were others I liked more. Are you not considering the night hag and the sea hag of AD&D? Yes. 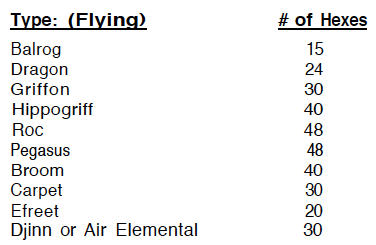 But I think that supports my point on how odd the omission is. I don't see it that way. 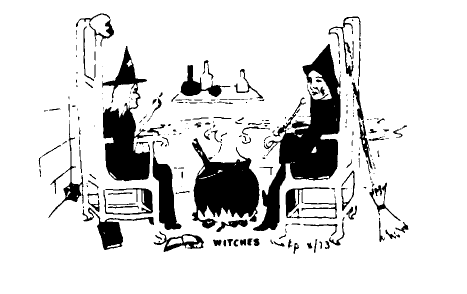 In AD&D, witches (hags) were monsters, not members of the magic-user class. Dragon #43 in November 1980 contained a couple of articles on witches, one of which was also written by the Dragon #114 author, as well as a version from Tom Moldvay. All three are worth checking out! 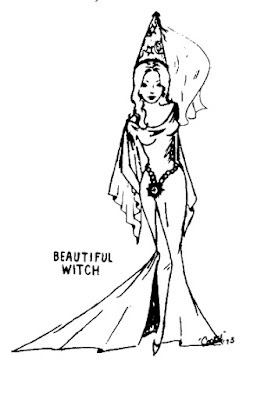 Witches were in OD&D as the female version of a warlock, the level title for 8th level magic-users. I would have thought that nature-type witches would be druids, and evil-type witches would be anti-clerics. Stephen Colbert has said he played a witch, so the rules must have been cobbled together from those Dragon articles unless he was using homebrew rules from a fanzine? Hey Stephen, care to enlighten us? Northern Reaches Gazetteer has them.